The false vocal folds are believed to be components of the acoustic filter that is responsible for shaping the voice. However, the effects of false vocal folds on the vocal fold vibration and the glottal aerodynamic during phonation remain unclear. This effect has implications for computational modeling of phonation as well as for understanding laryngeal pathologies such as glottal incompetence resulting from unilateral vocal fold paralysis. 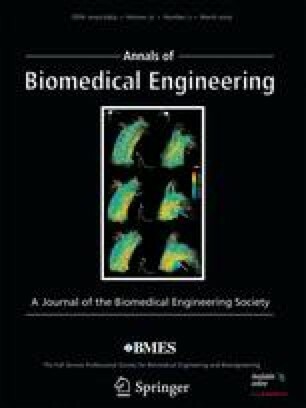 In this study, a high fidelity, two-dimensional computational model, which combines an immersed boundary method for the airflow and a continuum, finite-element method for the vocal folds, is used to examine the effect of the false vocal folds on flow-induced vibration (FIV) of the true vocal folds and the dynamics of the glottal jet. The model is notionally based on a laryngeal CT scan and employs realistic flow conditions and tissue properties. Results show that the false vocal folds potentially have a significant impact on phonation. The false vocal folds reduce the glottal flow impedance and increase the amplitude as well as the mean glottal jet velocity. The false vocal folds also enhance the intensity of the monopole acoustic sources in the glottis. A mechanism for reduction in flow impedance due to the false vocal folds is proposed. The project described was supported by Grant Number ROlDC007125 from the National Institute on Deafness and Other Communication Disorders (NIDCD). The content is solely the responsibility of the authors and does not necessarily represent the official views of the NIDCD or the NIH.